Photos from the band’s set opening for Divine Fits in Atlanta, Georgia on October 29th. The Seattle singer-songwriter plays a solo show opening for Sharon Van Etten in Atlanta. Jack White and his Peacocks played from a massive repertoire in Atlanta this month and his Georgia fans may have set a world record for largest number of folks to play air guitar at once. This past weekend Macon locals Sterling Waite and sunDollars took the stage at Amerson Water Works Park to close out a successful Rock-n-Read Fest put on by the Junior League of Macon. Contributing photographer Zack Robinson was there to document the spectacle. You’ll see from his fantastic images that the band had an energized performance complete with confetti and a crowd-surfing inflatable raft. Halie made it to Washed Out’s DJ set w/ Le Blorr at Georgia Theatre earlier this week. Check out some beautiful pictures from the evening! 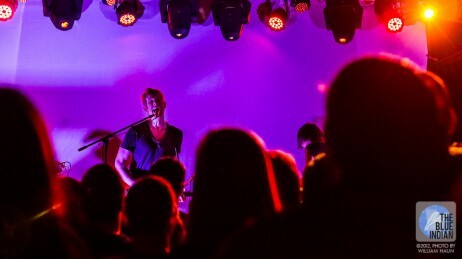 Take a look at Sean’s review of TheBlueIndian.com’s recent trip to the MidPoint Music Festival in Cincinnati, Ohio! We’ll see you next year! TheBlueIndian.com recently returned from the 3rd annual Deluna Fest in Pensacola Beach, Florida where we spent time with Fitz & the Tantrums, Joan Jett, and a few thousand of our new friends. This year’s Music Midtown expanded to two days and packed in 15 acts. TBI Writer Andy Stewart looks back at the festival’s most memorable performances.